Please enter through the Foote Theatre School entrance on south side of the Citadel by Canada Place. What it is, its importance to Indigenous People, stories of each style and teachings of how to practice the dances with respect and integrity. The session will begin with a smudge ceremony to cleanse the space and get started in a good way. Then we will move on to an aerobic-type warm up and learn some basic footwork appropriate for all genders. 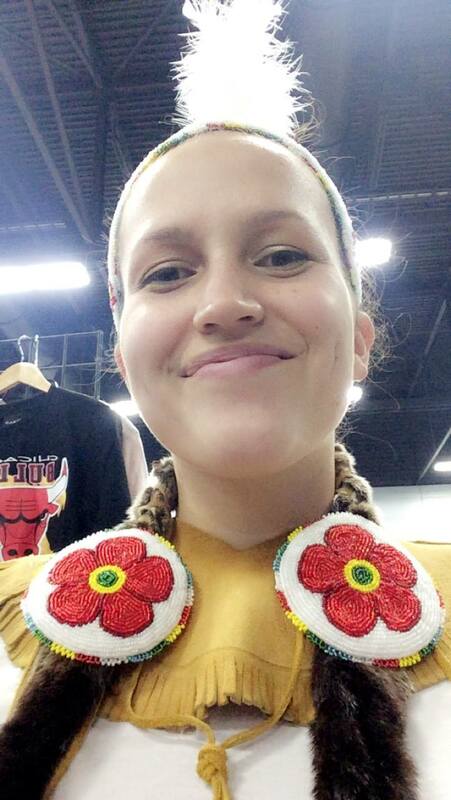 Sissy Thiessen is a Treaty 6 Nakota Sioux, Cree & German Indigenous cultural facilitator, Powwow dancer, crafter/beader, spoken word poet and creative writer from Edmonton, Alberta. She studied Communications & Journalism at Mount Royal University and has won various awards in the areas of community enrichment, cultural involvement and journalism. For the past 5 years, she has been living her passion of educating Albertans of all ages on Indigenous history, issues & culture through dance, crafting, play and the written word. As a spoken word poet, Sissy also works to bring awareness to social issues around body image, mental health, race and self identity.